AppBoard Tuesday - Are Your App Marketing Strategies Optimized? Hello everyone – how are you all doing this Tuesday? Some of our Indian readers must be all drowsy and puffy-eyed due to consecutive nights of no sleep – for the FIFA World Cup is on! So, grab a mug of coffee, and let’s just move over to our regular feature – AppBoard Tuesday (ABT). Today, we will be deliberating on an extremely important issue – the issue that can make or break your dreams of making money from mobile apps. Every newly recruited developer at Teknowledge (and we’ve had a fair few of them coming in over the last fortnight) is made to learn one thing – ensuring that their apps are of great quality is a NECESSARY, but NOT SUFFICIENT condition for the success of the latter. An app might be a technological wonder – but if it does not serve a defined purpose and/or is not marketed well, visibility levels will remain low. And when people do not get to see your app featured at the online stores, how do you expect them to download it? Not optimizing as per app store algorithms – It’s not by some black magic that certain mobile app companies almost always manage to get their products featured at the Google Play Store/iTunes – while those of others remain dumped in some obscure corner. Over 80% of our apps figure on these featured lists – and for that, we have to keep track of how the optimization algorithms of the app store are changing over time. Okay, you might now feel how on earth are you supposed to know exactly what these algorithms are, and when/how they are being changed, right? Well, you don’t need to! For starters, start keeping regular estimates of the marketing expenses and the revenues from app advertising. If you find that the spendings are too high, find out if there are ways to lower them. Every week, literally hundreds of new apps make their debut at the stores. Unless you keep a tab on the real-time metrics of your offering as well as the dynamics of the stores – you might soon find yourself lagging behind professional rivals. Remember, a fully optimized strategy today can become completely obsolete within a month. Not utilizing your business website – What’s the primary channel via which you connect with potential buyers in the web space? That’s right – it’s your business website, and if you are not using it in your app marketing plans, chances of getting high download figures will never become high. Provided your website is optimized (that’s SEO territory – something we will get into in a later edition of ABT), the daily traffic figures will be on the higher side, and visitors should always have a chance of checking out your applications. No one is going to search by your company name at iTunes! If you are into cross-platform mobile app development, your website should ideally have separate pages/galleries – showcasing iPhone, Android and Blackberry apps. Research for appropriate keywords for each application, and include them while writing brief descriptions. 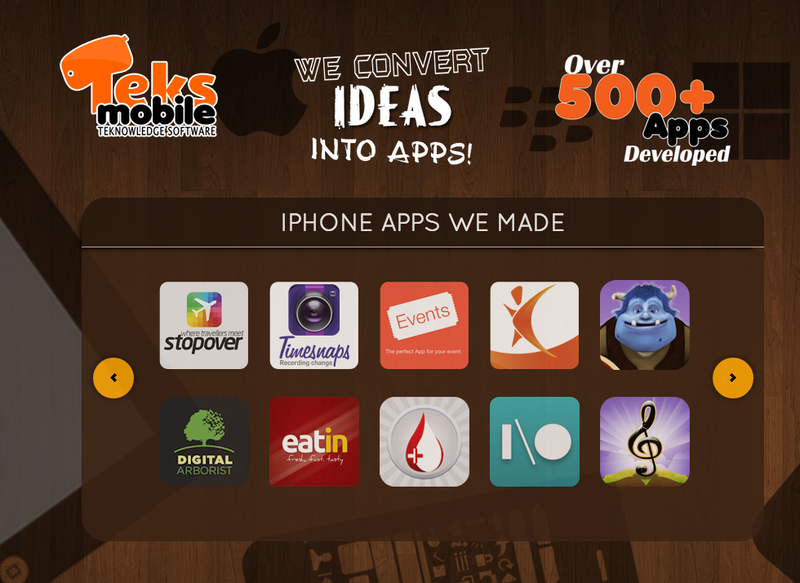 Include a direct link to the stores where your app is displayed. If someone likes your app, (s)he should not face any confusions while trying to download it. Over-reliance on traditional advertising agencies – Your responsibilities end with completing the app development process and testing – you don’t need to look into how the agencies are marketing it, right? This is one of the biggest mistakes a company can ever make. Most traditional marketing agencies have a limited set of ad networks through which they publicize apps. While that’s nothing to scoff at, you need to think bigger. Firstly, you need to choose such agencies that have the experience of working on as many broad-based advertising channels as possible. Next, your app(s) have to be promoted via social media (Google Plus, Facebook and Twitter, primarily) as well. There are many cases where the objectives of the mobile apps agency is not in sync with that of the advertising firm – resulting in the ad spendings being more of a waste. Irrespective of whether you are hiring a marketing company or are planning to do the ads in-house (that’s what we do, for most of our apps) – make sure that you are being able to reach out to a large audience. Not paying attention to the app’s retention value – A good-looking mobile app, with a host of features and bug-free assurance has the potential to generate impressive initial downloads. However, if you have not considered whether the app would retain its usability over the long-run, the joys can be short-lived. Researches have found that, 8-9 of every 10 newly downloaded apps are deleted by average smartphone users across the world. Your apps need to feature among the remaining 1-2! Once again, avoiding this mistake is not a particularly difficult task. If you have developed a gaming app for kids, don’t make it ridiculously easy to finish. For quiz/news-based applications, make sure that new questions and updates are made available on a daily basis. For fitness applications, provide new health tips, videos and such other stuff everyday. In a nutshell, make it a point to ensure that your mobile apps provide ‘ongoing benefits’ to users. If an app appears really addictive now, but becomes blah after 3 months – it ain’t of much use. As a cue, you can check out our Story Time For Kids application. It might only be a mobile storytelling app for kids, but we regularly release new digital storybooks on it. That way, little ones never get the feeling that they have read ‘everything’ on the app. Keeping users engaged is the success mantra. Monitoring only the app download figures – Sure, the number of times your hugely-hyped new app is downloaded is important – but that’s far from being the only metric you need to track. There might be a large percentage of people who end up using the application only once or twice, and some might not even bother to enter their profile information on the app. Make a list of all the figures and metrics that define ‘success’ for an iOS or an Android application. Tracking only the download count often gives a misleading (often, inflated) image of how well (or otherwise) your apps are doing. Spending big pucks on unsuitable advertising media – By unsuitable, we do not mean outdated. Most of you probably already have come across ads of Teks apps on mobile ad networks and social media platforms – but have you ever seen our company’s advertisements pop up on your TV screen? Or looking down at you from a large billboard? You can’t have – simply because these channels (although vital elements in the general marketing and promotional mix for products) have next to little value when it comes to mobile software. A TV commercial for a smartphone works great, so why shouldn’t that for an app be successful? The reason is straightforward. App-advertisements should always include a call-to-action (read: download links) – and that’s simply not possible to give in television/radio spots or print ads. Instead, you need to tie up with ad agencies with proven track records, and start bidding for mobile traffic. Almost all the advertisement campaigns should be conducted online (from your FB pages, to classified ad sites and partner websites). A television advertisement can give your brand some extra exposure – but that’s about it. Adopting the ‘Downloads done: Who cares what happens next?’ approach – Mobile application development is a service – and like all service-providers, you need to be very alert about the quality of your after-sales support. Such post-download support is not limited to sending subscribers emails with your contact number and email ids. People can have a host of confusions/problems after downloading an app (while installing it, for instance). Through the app itself, they should be able to clarify such doubts. At Teknowledge, we stress on the importance of mobile apps serving as viable channels for two-way interaction with users. Almost all our apps allow people to rate them, and leave their questions and feedback. That way, we can a) provide satisfactory solutions to the people (customer-satisfaction really matters) and b) find out the features of our apps that are being most/least liked. Upgrades can be planned accordingly. The fact that pricing is a key element of overall app marketing strategies is a no-brainer. Even if you are planning to launch free apps, you need to to chalk out potentially profitable in-app advertising schemes, which do not hamper user-experience. Never make any false claims about your app. Such fraudulent approaches can give a spike to first week downloads – but as people find out the truth about your app’s features, the bubble will burst. Make sure that the UI/UX designs of your app do not interfere with its user-friendliness. The final objective of any smartphone app development company are the same – maximizing the ROI figures on their services. If you manage to avoid these mistakes and properly optimize your app marketing plans, that objective is certainly not tough to attain. Without trying to sound vain, Teknowledge has been doing it for almost a decade now. With that, we come to the end of the 6th edition of AppBoard Tuesday. If you feel that the little tidbits we share on our weekly newsletter, do contact other app developers – and ask them to subscribe too (ABT is, and always will be, free!). Next Tuesday, we’ll be back with some new, important facet related to mobile apps. Till then….oh well, by now you must be knowing how to stay zapped with apps!